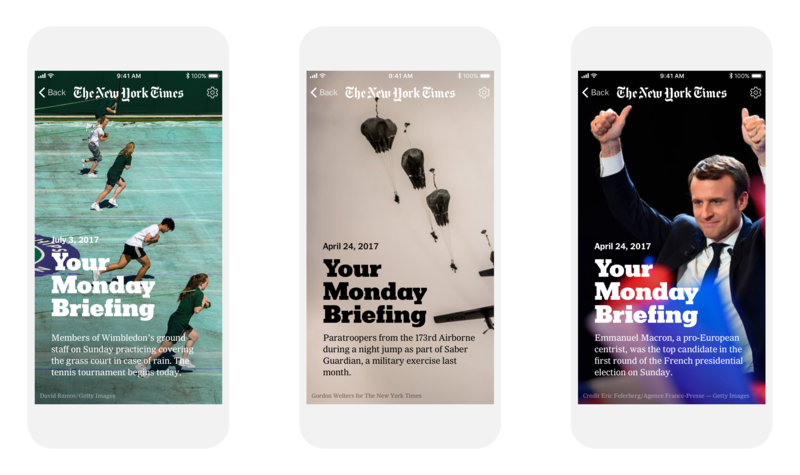 Interns at The New York Times get to spend each Friday working on an intern project with a team of other interns, creating a speculative product or service for the company. 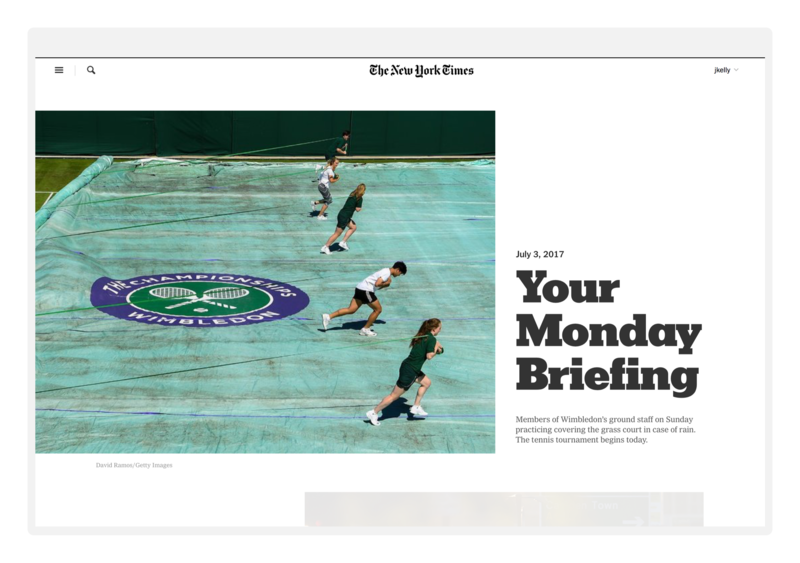 I was responsible for the product design of our proposal, Your Briefing, a more visual way to digest The New York Times Daily Briefing. All photography property of The New York Times. 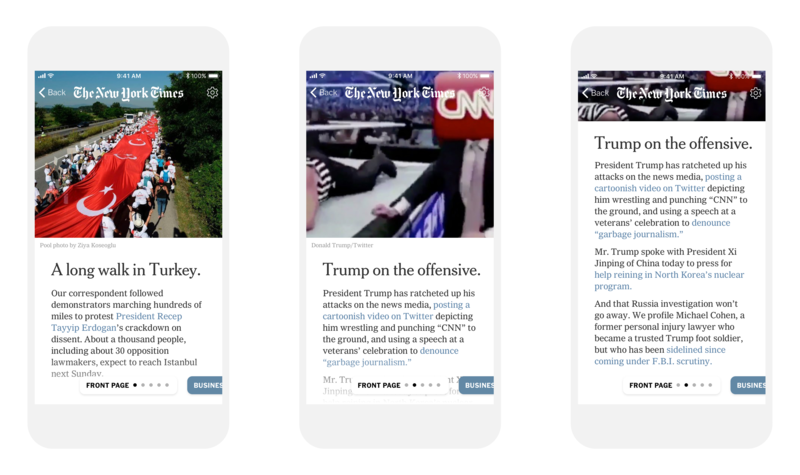 Most downloads of The New York Times app are from subscribed users. 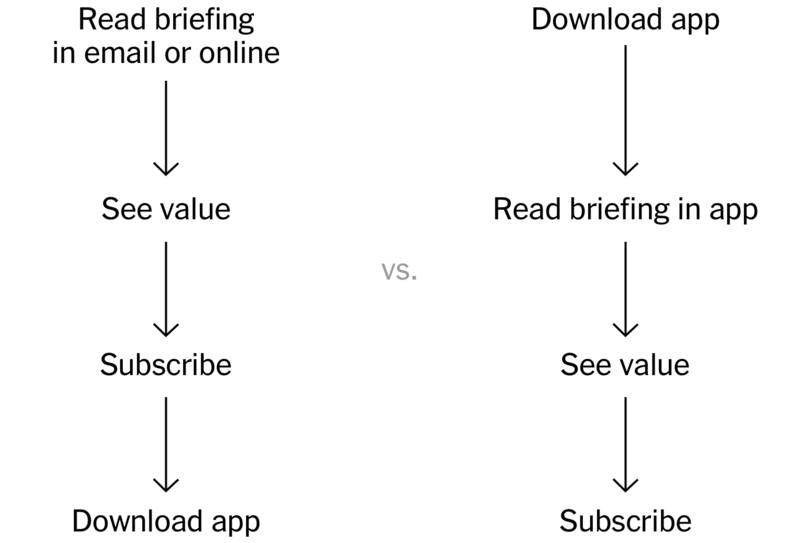 With Your Briefing, we wanted to create a reason for non-subscribers to download the app. 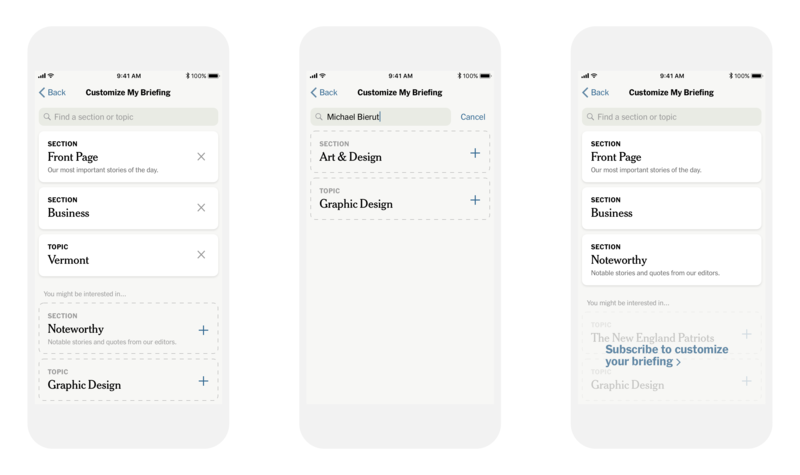 There would be a stripped down version on the web, available without customization as a preview for what the app's version offered. The Daily Briefing is a collection of twentyish notable headlines. Because a typical carousel indicator would be far too long, items are grouped by the section they are in, then progressively shown at that section is navigated to. Entire sections could be skipped by tapping the next section. Customization of the Briefing, a new feature we added, would be available only to subscribers. 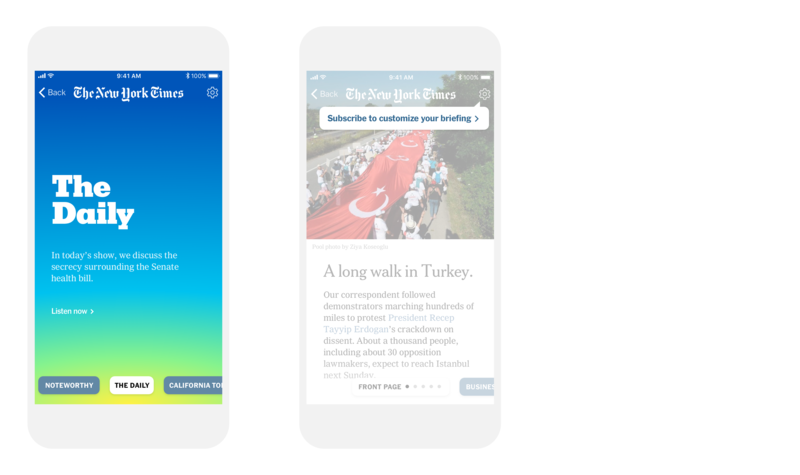 Other monetization options, and calls for users to subscribe, might include ads injected between sections.